Christmas in London spares no expense. The city is decorated with sparkling lights and incredible festive displays. Despite no snow, the city of London during the winter is dazzling. 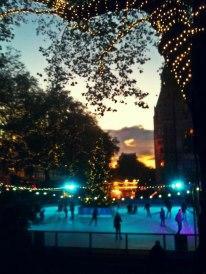 Winter Wonderland, The Natural History Museum Ice Rink, Christmas in Trafalgar Square and the Lincoln Christmas Market has been amoungst my favourites.